The original Dunn Brothers Coffee! We're on the corner of Grand Ave and Snelling Ave near the Macalester College Campus. Welcome to Dunn Bros Coffee! 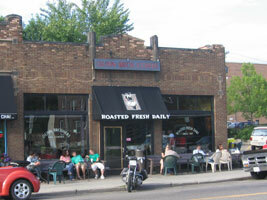 We are located on the corner of Grand Avenue and Snelling Avenue in Saint Paul, Minnesota. We are the original Dunn Bros Coffee. Established in 1987.